As the crow flies: the new Slow Wine Guide to the Wines of California is forthcoming. Slow Wine will publish its first-ever guide to the wines of California in early 2018. 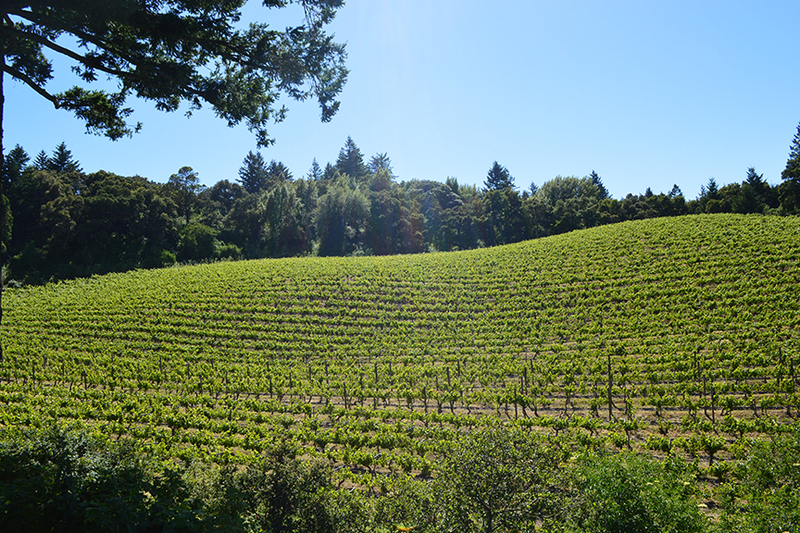 Above: vineyards in the Sonoma Coast American Viticultural Area (AVA). Note the Pacific Ocean horizon in the background. 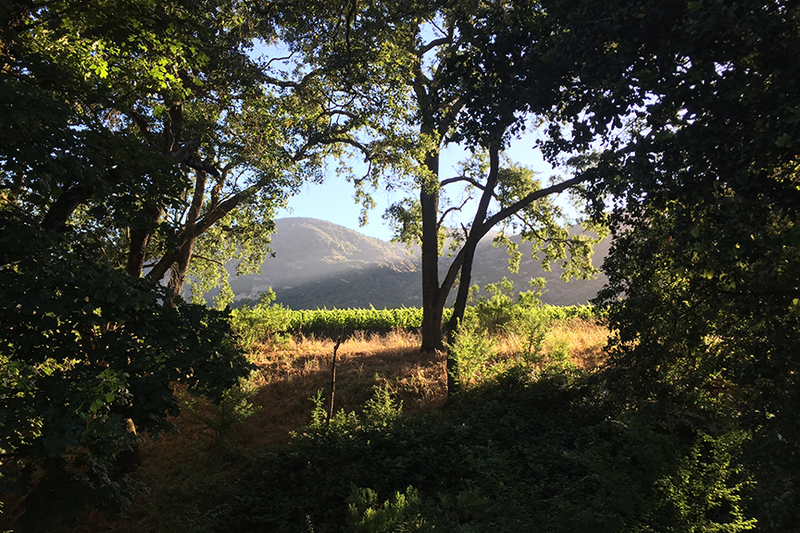 It was in late 2016, on the eve of the American presidential election, that Slow Wine Guide editor Giancarlo Gariglio and I first sat down in Piedmont, Italy and talked about the possibility of creating a Slow guide to the wines of California. By the spring of 2017 our plans had began to come into focus: he and I would co-edit the English-language by the end of the year, for publication in early 2018. 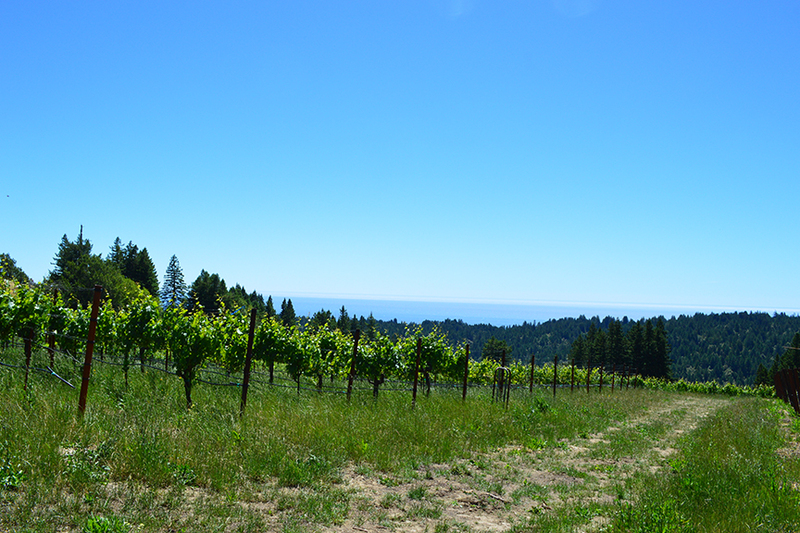 Above: vineyards in the Santa Cruz Mountains AVA. I spent the better part of last week touring vineyards and meeting with growers in northern California before I sat down with our editorial panel to taste more than 250 wines submitted for consideration in the guide. Giancarlo and his Italian co-editor published the first bi-lingual Slow guide to the wines of Italy in 2011. Its early success and the north American Slow Wine tastings that followed laid the groundwork for the new guide that began to take shape last week when we sat down to taste with our editorial panel. 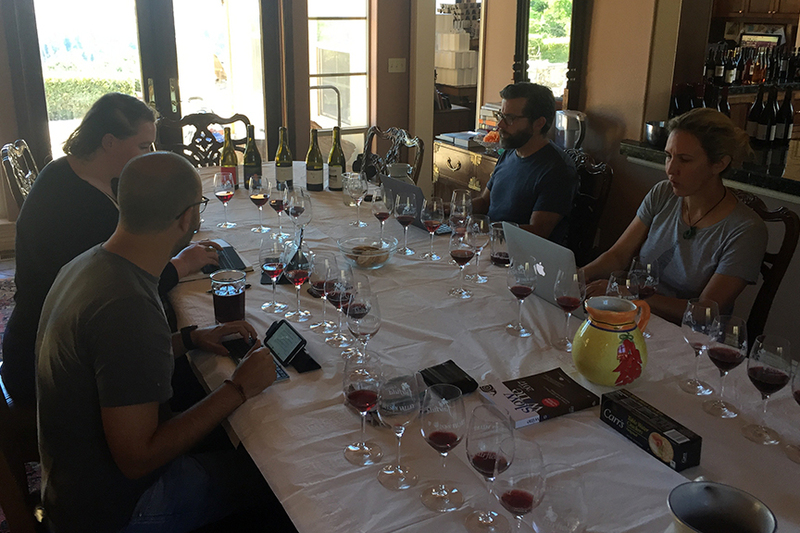 Above: Giancarlo (foreground, left) and our tasting panel was impressed by the caliber and breadth of the wines submitted. He was tasting a lot of the estates for the first time. It was a no-brainer for me to reach out to my dear friend Elaine Brown and ask her to join us. She is the author of Hawk Wakawaka Wine Reviews and a contributor to Jancis Robinson: in recent years, she has become the country’s leading authority on the new (and old) wave of sustainable fine wine grape growers in California. I also invited my long-time friend David Lynch, a top wine writer and leading American sommelier, to join our panel: his finely honed abilities as taster and his vast experience in California wine were just what was needed to complete our tasting and editorial panel. 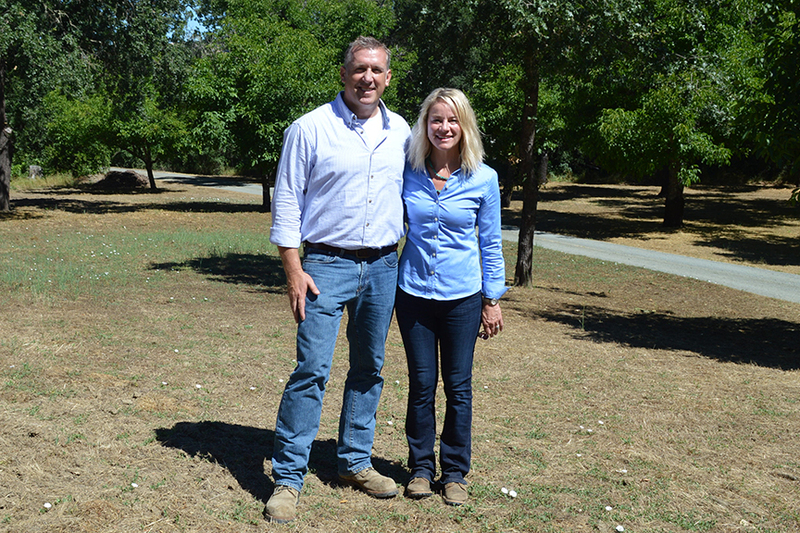 Above: Alexander and Catherine Eisele of Volker Eisele were some of the growers I met with last week. The embodiment of the Slow ethos, their family has organically farmed its Napa estate for two generations and the couple supports their budding family through grape growing and winemaking. Not only will Slow Food be publishing the guide in early 2018 but Giancarlo and I will also be presenting a group of select California growers that will accompany the Slow Wine tour of Italian grape growers in the early new year. Dates are tentatively planned for New York, Seattle, San Francisco, and Houston (to be confirmed). Slow Food Editore will be making an official announcement soon and I’ll be posting updates on our progress and previews here on my own blog in coming months. I couldn’t be more proud to share the news: the new Slow Wine Guide to the Wines of California will be coming to a town near you soon! Heartfelt thanks to Giancarlo for coming to me with this project and to Elaine and David for believing in this crazy endeavor (going where no wine writer has ever gone before!). And warm thanks also to intern Elisabeth Fiorello-Sievers whose lovely family hosted and fed our panel. Are there any plans for SLOW wines of California to tour Italy? Tony, no, they won’t be touring Italy but they will be touring the States. Gosh Jeremy, I never realized how much I enjoy reading about wine until I found myself engrossed in your blog. Not only do I enjoy reading this, I find your style helpful for novice wine writers (that’s a leap) like myself. Could you help me? I am often invited to wine portfolio tastings, where I use the English language, to highlight the beauty of wine via my semi “4th grader vocabulary.” LOL. You write with such simple elegance. I enjoy reading your work and comments from your HATERS (re: Trump America post). Well done Sir!